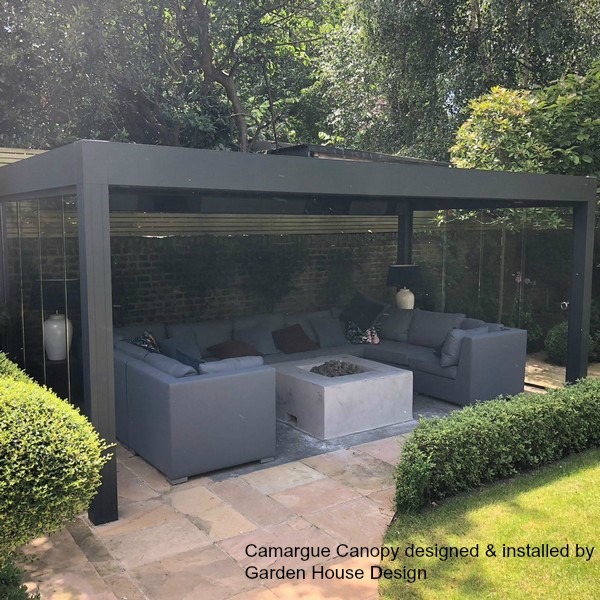 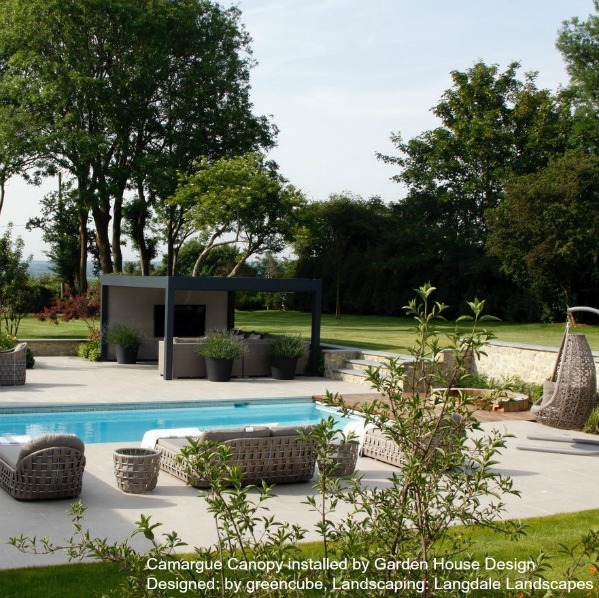 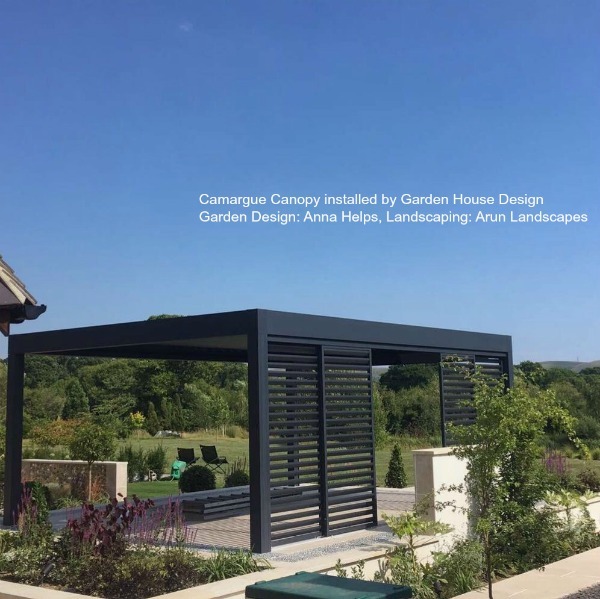 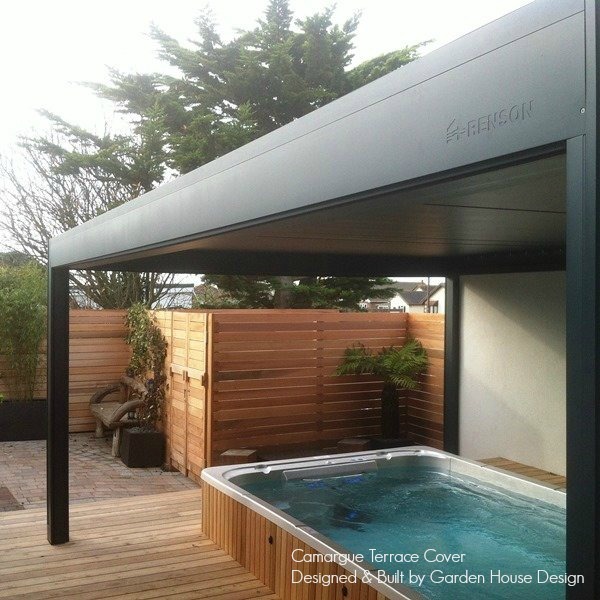 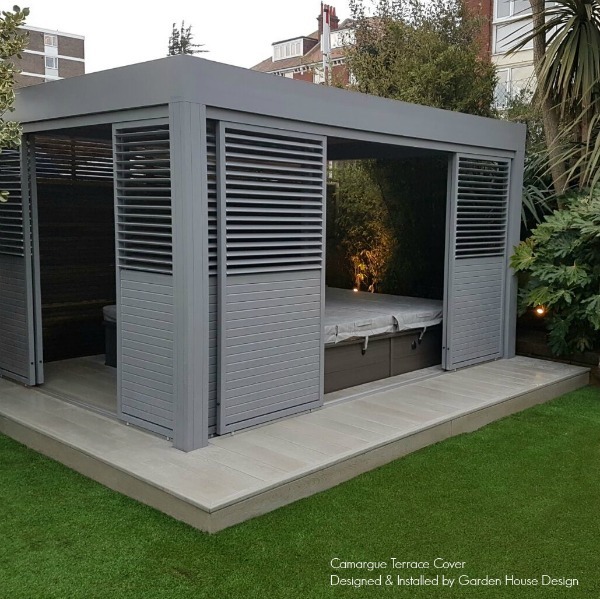 Our RENSON® Camargue gallery aims to showcase just some of our installations using designs with either a single unit or joined together to create really desirable outdoor spaces. 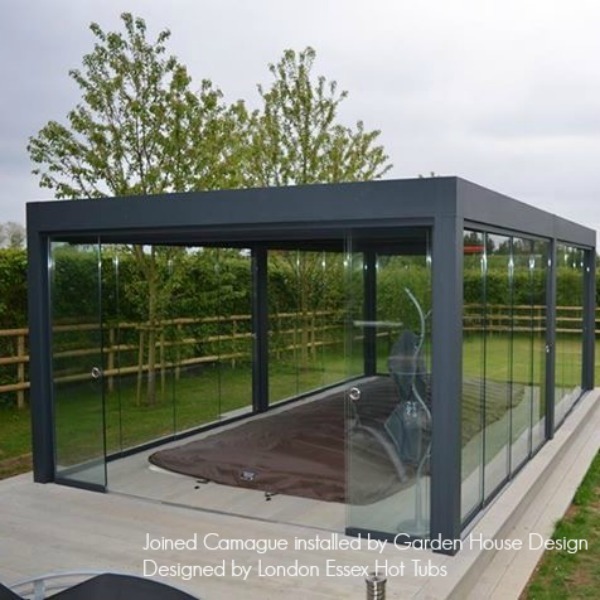 You'll see we are spolit for choice when it comes to personalising each design, as we can add automatic side blinds, heating, lighting all at a press of a button. 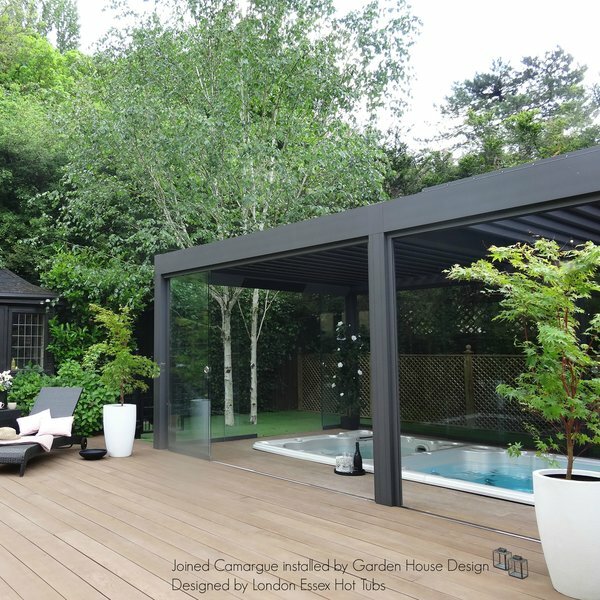 Others we've designed with glass or wooden sliding doors to really allow our clients to live outdoors for longer! 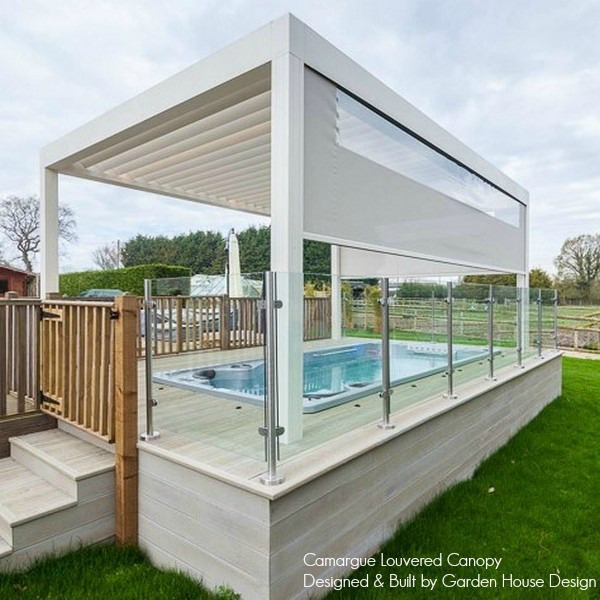 Our range allows for free-standing or wall mounted options. 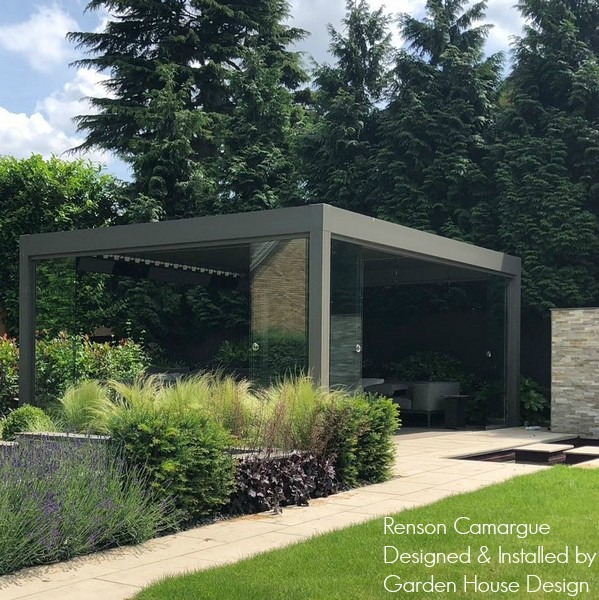 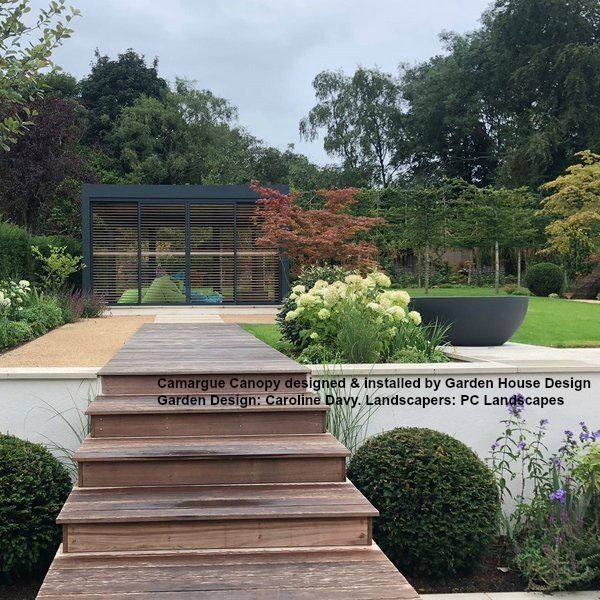 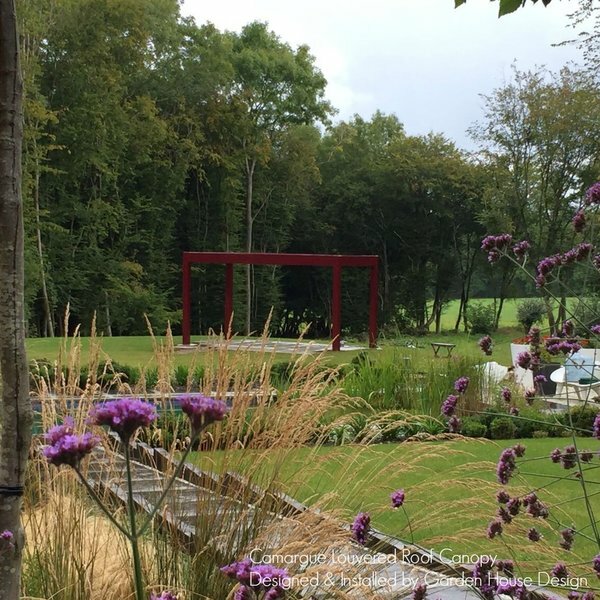 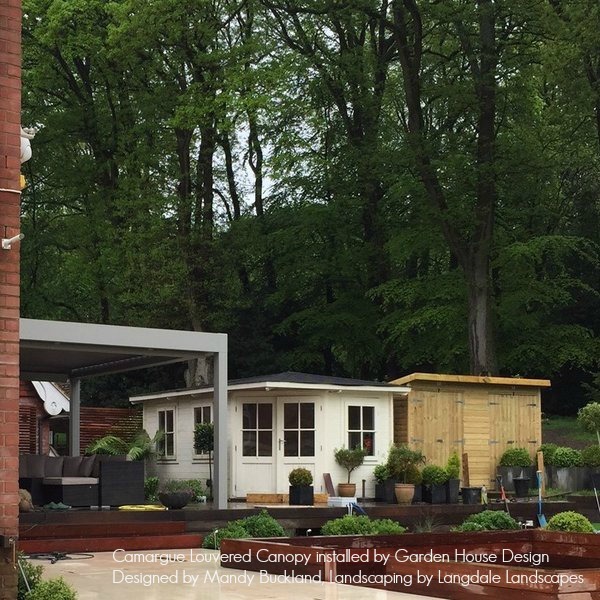 Garden House Design are proud to be RENSON® Premium Ambassadors allowing us to give expert advice, accurate quotations, design and manage all our own installations to include any required groundwork. 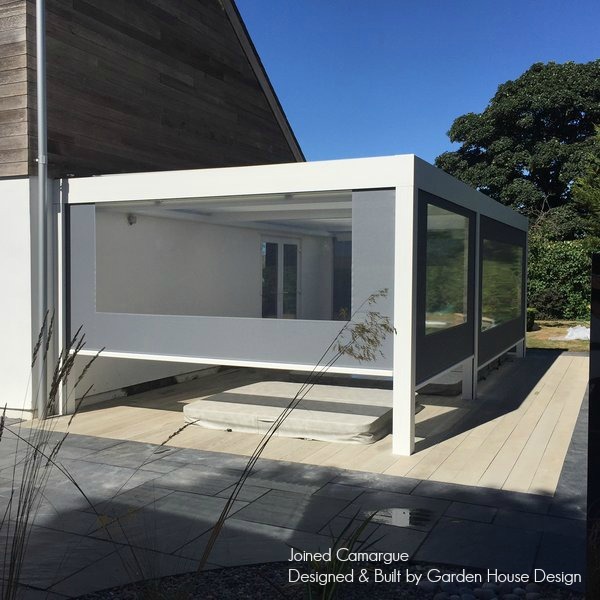 design 10: Wall Mounted Camargue fitted to the house offering a covered dining area next to the outdoor kitchen area. 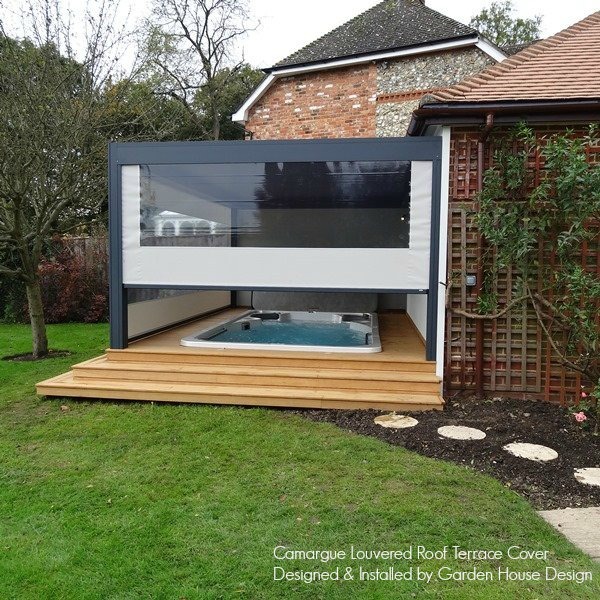 design 11: Free Standing Camargue made in specific RAL colours are our delight. 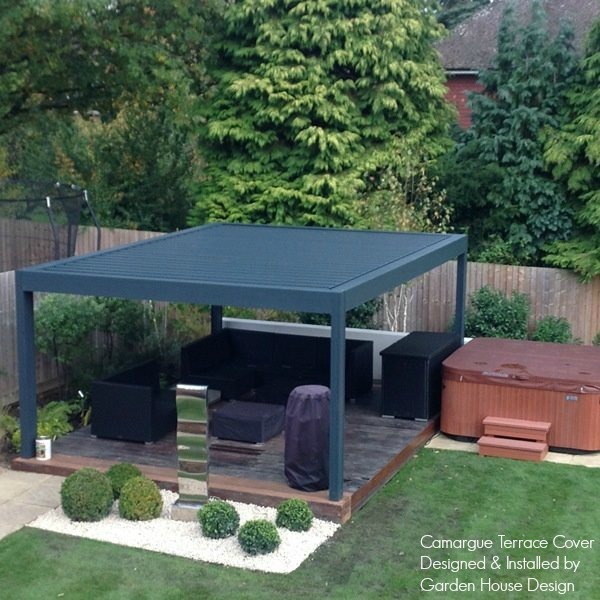 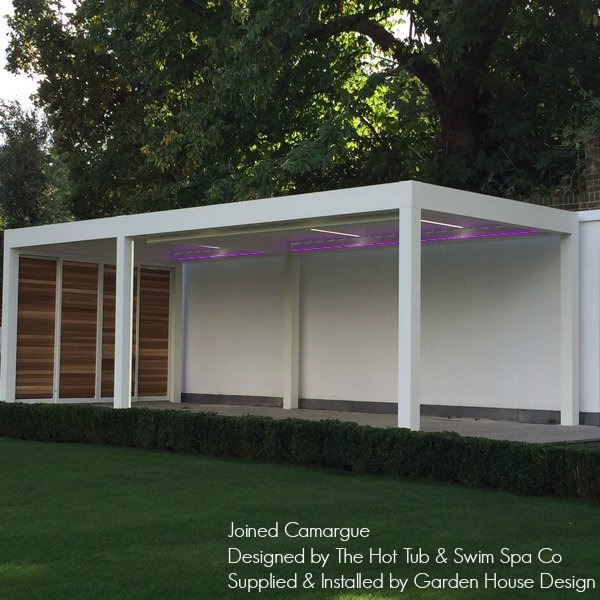 design 19: Free Standing Camargue Canopy with Glass Sliding Doors and Blinds to create an outdoor room with firepit to enjoy all year round.